We are very much familiar to see Malware has targeted men by enticing them to view videos or pictures of a sexually-oriented nature. 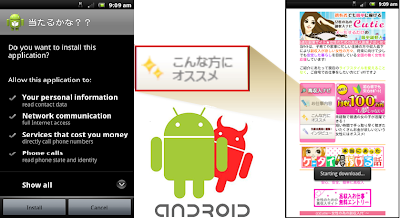 But here the story is totally different, recently Antivirus firm Symantec has discovered discovered 'Android.Loozfon' a rare example of malware that targets female Android users. 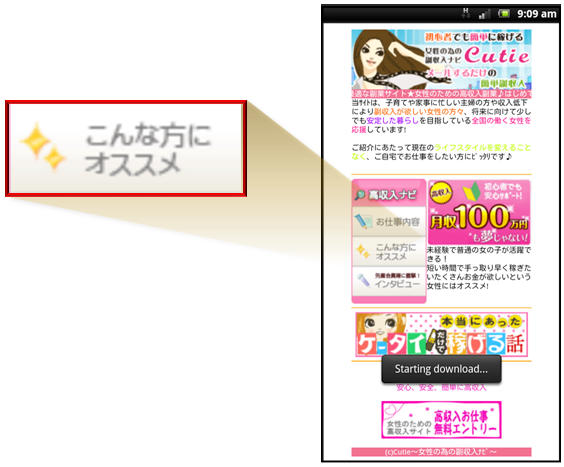 According to the symantec official blog -A group of scammers is attempting to lure female Android users in Japan into downloading an app by sending emails stating how the recipient can easily make some money. The email includes a link to a site that appears to be designed to assist women to make money simply by sending emails. 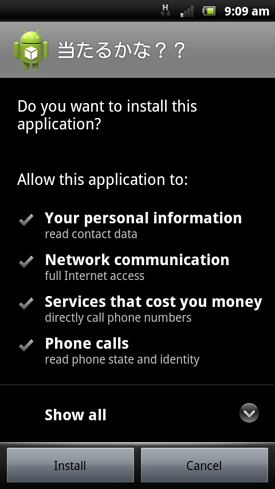 When a certain link on the site is clicked, Android.Loozfon is downloaded onto the device. Other links direct the user to a dating service site that likely attempts to charge money to use the service, which supposedly helps women meet rich men. If this trick does not work, the criminal group has another trick up its sleeve. It also sends spam that states that the sender of the email can introduce the recipient to wealthy men. 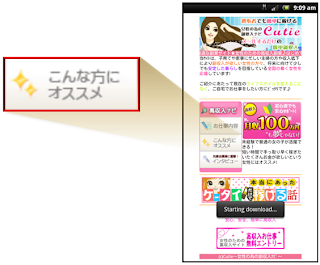 When the link included in the body of the email is clicked, the malware is automatically downloaded onto the device. The downloaded app is titled “Will you win?” in Japanese. It has nothing to do with earning extra income or wealthy men. If the app is installed and launched, it counts down from two to zero and then states that the user has lost. The app is programmed to lose every time, although there is nothing to either lose or win. It steals contact details stored on the device as well as the phone number of the device, which is the main goal of the malware. The scammers are likely harvesting email addresses in order to send spam to the contacts they were able to steal to lure them to the dating service site and/or sell the data to another group of spammers.